Tonight the first heat of Melodifestivalen 2019 took place in Göteborg, Sweden. Seven acts performed live, and two songs qualified directly to the final: Wiktoria with 'Not With Me' and Mohombi with 'Hello'. Two songs were selected for the second chance show. This years Melodifestivalen has begun! 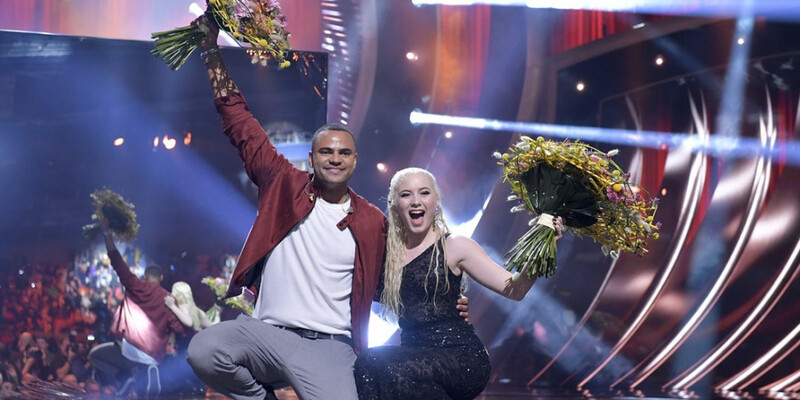 The first deltävling (heat) had two winners directly qualified for the final: Wiktoria and Mohombi and two acts for the "second chance": Nano and Anna Bergendahl. The first deltävling was held in the Scandinavium arena in Göteborg. The arena hosted Eurovision Song Contest 1985, and was among one of the four potential candidate venues to host Eurovision Song Contest 2013, but in the end, Malmö Arena was chosen to host the contest. Zeana feat. Anis Don Demina – "Mina bränder"
High 15 – "No Drama"
Arja Saijonmaa – "Mina fyra årstider"
Sweden 1984: Herrey's - "Diggi-loo Diggy-ley"